05:40 (First)~ 00:30 (Last), interval:30-20 mins. Terminal 1 Bus Platform: On the southwest side of the Arrival Passenger Reception Area. Terminal II Bus Platform: On the northeast side of the Arrival Passenger Reception Area. Adult single fare is NT$125. Journey time is about 50 mins. 06:00 (First)~ 24:00 (Last), interval:15-20 mins. 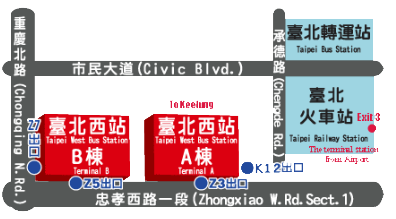 Ticket counter is located in the bus station lobby. Adult single fare is NT$55. 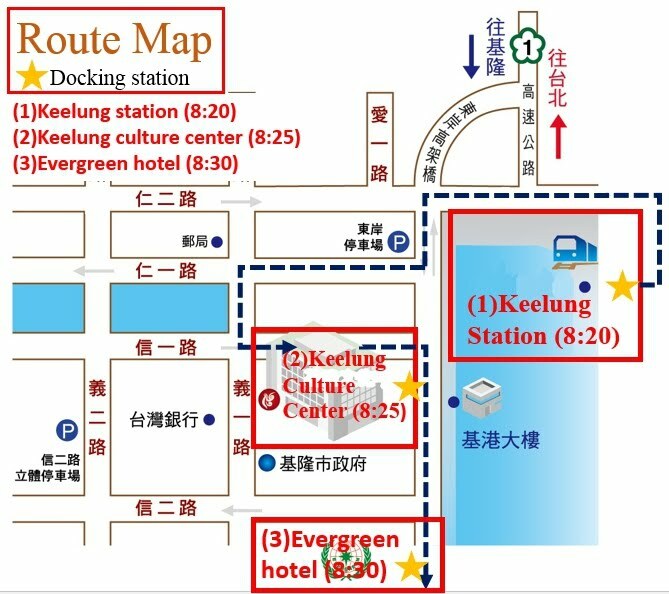 The Terminal Bus Station is Keelung Station.